Increase forced air oven capacity with extra shelves for Cascade’s CDO-28 industrial drying & decarboxylation oven. Includes shelf sliding rails for clip-in, adjustable mounting. Shelves slide out, extend and stay in place for easy of workspace. Perforated pattern optimizes airflow for uniform drying and decarboxylation. Made of clean, laboratory grade stainless steel. Model CDO-28 includes 6 shelves standard. 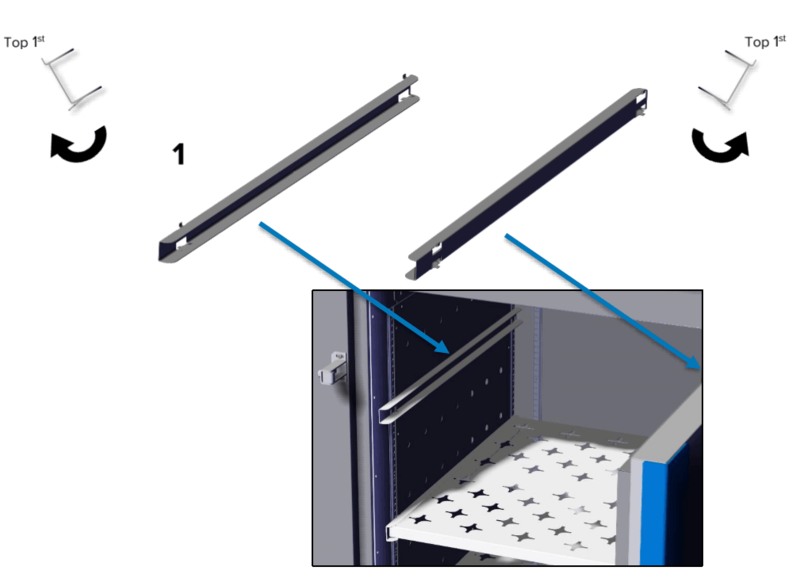 The horizontal airflow within the chamber moves from the small duct holes on the right hand side of the chamber across the shelf space to the large duct holes on the left side of the oven internal wall. Place the shelves as to not block the holes. This maximizes airflow. Space the shelves evenly to insure the best temperature uniformity and air circulation. Cascade also makes temp rated mesh bags designed to fit on the CDO-28 Shelves. If your product is subject to turbulence during a forced air drying or decarboxylation process, the mesh bags allow for airflow and keep product turbulence down.